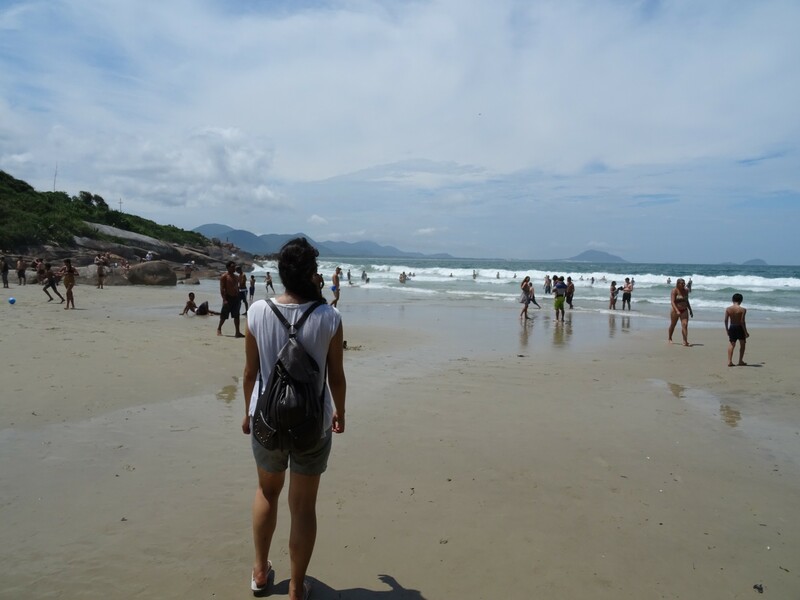 I never really took to Florianopolis, and Isla Santa Caterina as a whole, like I did Paraty, despite my setbacks in the latter. I don’t mean to sound morose, I certainly enjoyed myself, it was just missing something. Perhaps the relaxed vibe, the feeling of country isolation or maybe the lack of people. Yeah, I think that’s it. There’s too many people, too many tourists, too much of an industry and far, far too many cars. Carefully taken with no cars in view. 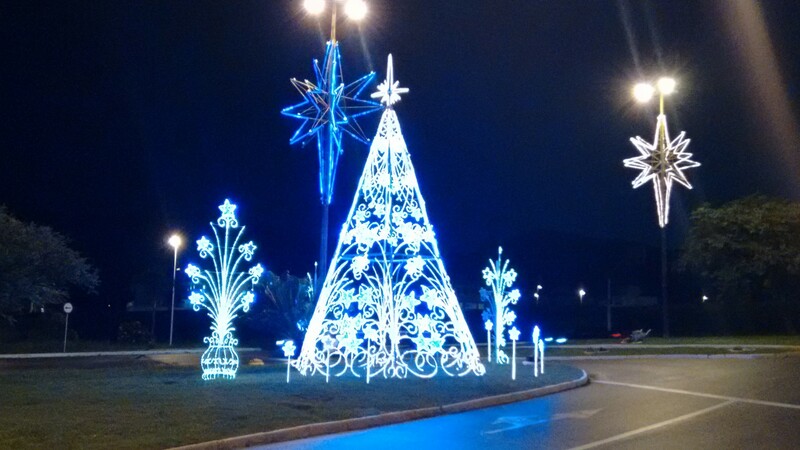 This is as Chistmassy as it gets here. It took about seven hours to reach Sao Paulo from Paraty, where I subsequently waited another three and a half for my bus to Florianopolis. This bus should have got me to Florianopolis before midday. Instead, because for some reason the driver decided to wait at the the side of the road for five hours in the middle of the night, I arrived in the evening, about 30 hours after I set off. 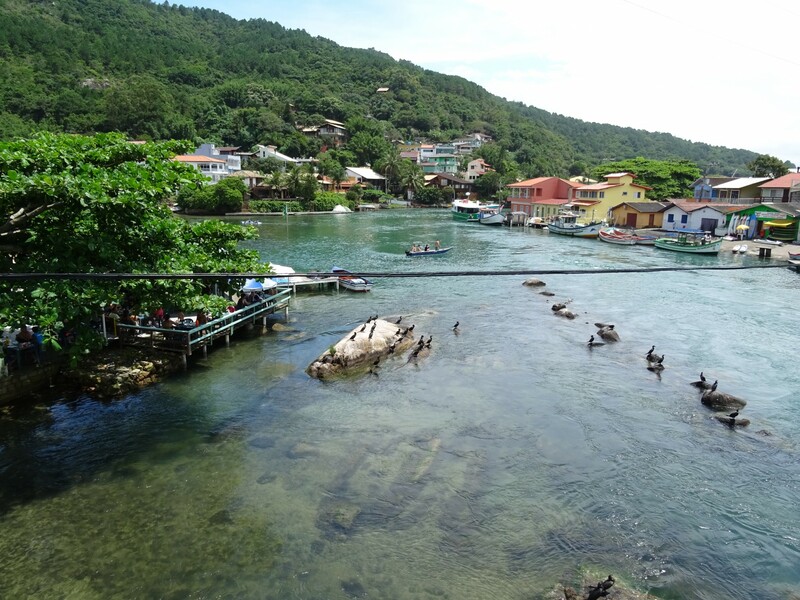 The pretty village of Barra da Lagoa. The first thing I found out was that my hostel didn’t have breakfast included. I’d slightly suspected this since it mentioned nothing on my confirmation email, but it did explicitly say it was included on Trip Advisor, so I was annoyed. What was worse though was that it had no kitchen. It was something I hadn’t thought to check before I booked, but these combined meant I would have to trek the 30 mins into town to buy each meal. It would be for a whole week as well, because for once I had decided to book my whole stay in advance. Christmas was apparently busy, and hostels would get booked out. Bad points behind I set out to figure out what to do with myself, spending the first day finding my way around the town surrounding the biggest lake on the island, Lago Conceicao, and relaxing a bit as the days chopped and changed from bright sunshine to pouring rain. I took the opportunity to get my stitches out too – the doctor had done really good job – the scar barely visible already. Apart from a Uruguayan bloke and a Portuguese guy, everybody I met was Brazilian. I soon found myself hanging out with a couple of them, Lene and Angelica, as we set off on a boat trip on Lago Conceicao. It was a bigger trip than I had suspected, mainly because I had no idea where we were going, but we ended up at a little touristy area with a picturesque waterfall and pool, and a few restaurants. It was a lovely place for a few hours. We set off back again after four, the first boat we had hoped to catch having been full, with my vague plan to go and watch Star Wars before the world and his wife got off work, still vaguely intact. So it was when we reached shore, too, and the bus station. It was going to be cutting it fine, but I figured I might as well try to get there – I wouldn’t do anything else in the evening otherwise. After a dozen hairpins, the bus twisting up one side of the mountain and down the other, and zooming through town, I got there. Only five minutes late. Just in time to see Hayden Christensen reprise his role as a sulky teenager. Don’t believe me? Really? Probably for the best. I wouldn’t wish that pain on anyone. 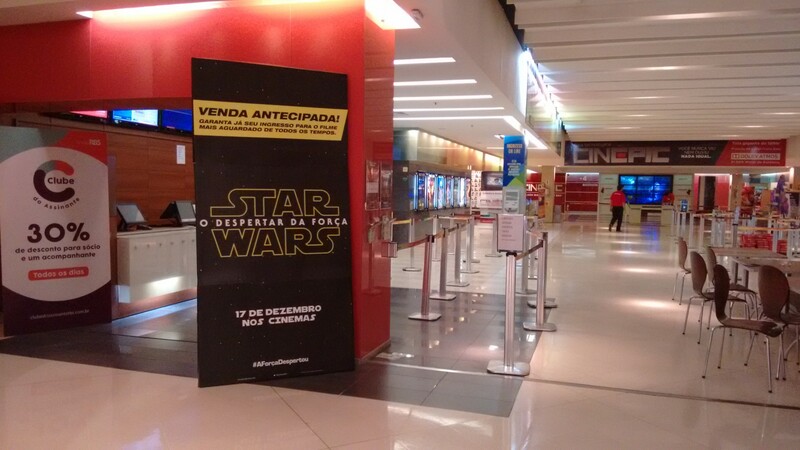 This was after the movie – I was late, not an idiot! It was soon Christmas eve, and that meant more cafe relaxation, followed by barbecues and beers back at the hostel. 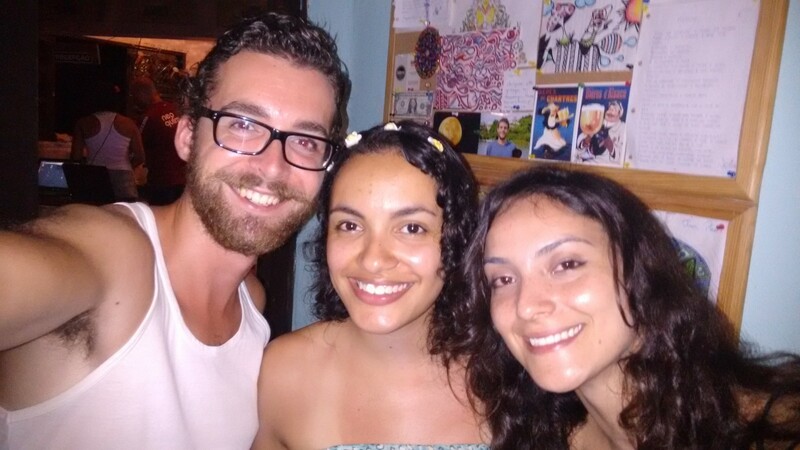 It was a actually a really good evening, my now extensive and incredibly incorrect Portuñol coming into its own amongst the Brazilian residents, so it was rather later when I got up on Christmas day. To my surprise though, nothing seems to stop here, so after some phonecalls back to the family (and a first attempt at video calling), I set off for Barra da Lagoa and some beach time. Christmas eve with Lene and Angelica. While the buses ran, they did so at a snails pace. Everyone was off to the beach on Christmas day apparently, so the roads were jam packed. 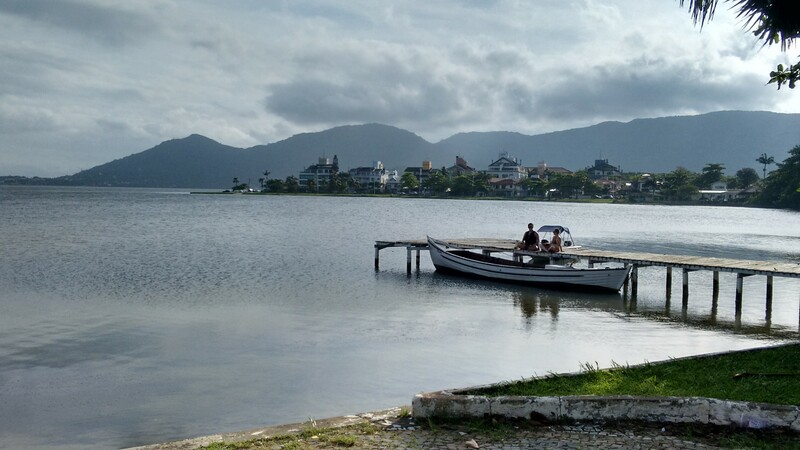 Barra da Lagoa was still a lovely place though – even with the masses of people – beautiful beaches and water galore. Not the most traditional Christmas I’ve ever had, but certainly a new experience! To further the point, back at the hostel I moved onto the seasonal favourite – Christmas caipirinhas. Can’t go wrong, really. The beach at Barra da Lagoa. I spent the next couple of days before I left fitting in a few more activities. 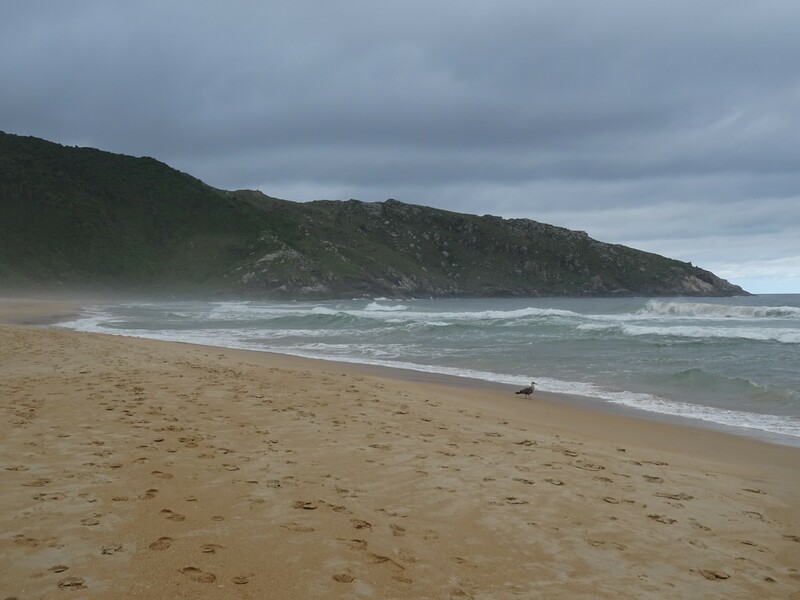 I trekked over to Lagoinha do Leste, a stunning secluded beach at the south end of the island. This was a great little trek, made absolutely hilarious by the number of people attempting the muddy trail in flip flops, with disastrous consequences. I also dabbed my hand at a bit of sandboarding, on what I swear was the sweatiest day possible. 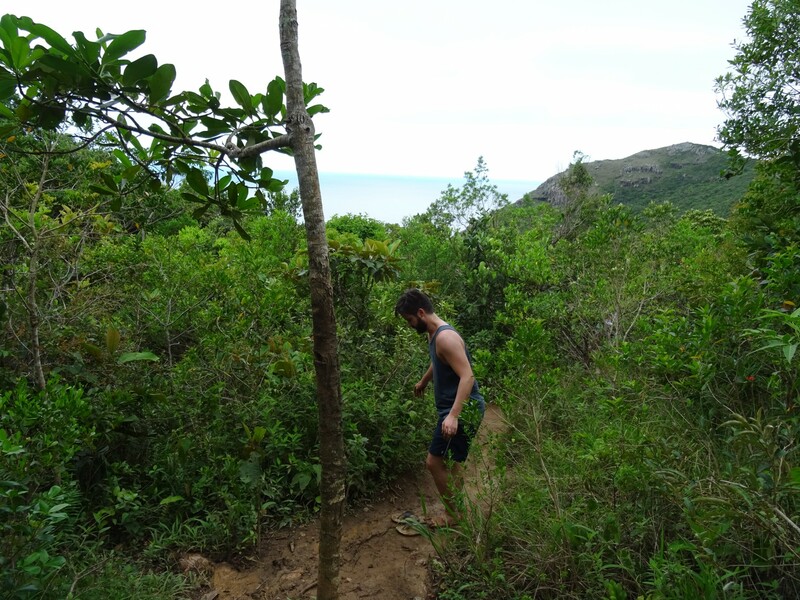 I didn’t fall off every time, so I’m pretty sure I can regard it, and my trip to Florianopolis as a win. Even if I didn’t love it like Paraty. 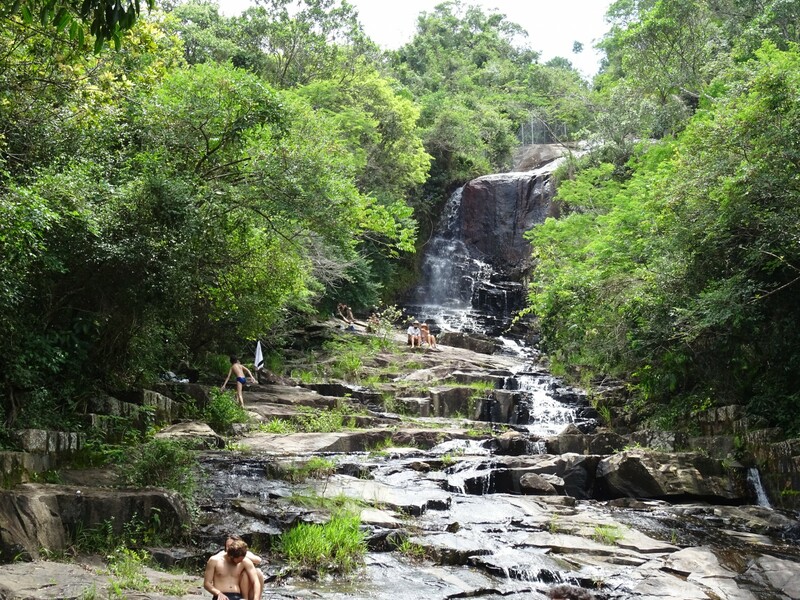 Beaches, Boat Travel, Bus Travel, Caipirinhas, Cinema Abroad, December 2015, Spectacular Views, Waterfalls. Bookmark. 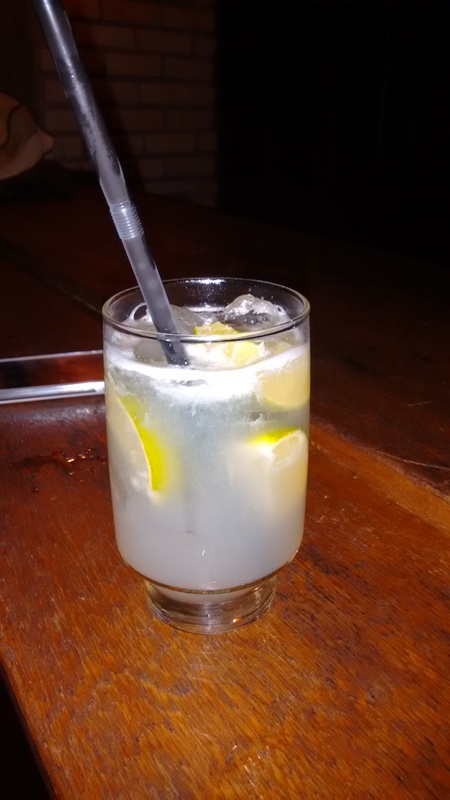 Glad to see you’re a caipirinha convert – I’ll make you one when you get back to civilization (OK Saddleworth). I know, I’ll always have to settle for second behind Clooney. It’s disappointing, really. Maybe basejumping would work. If it didn’t I probably wouldn’t realise anyway!